Those long beautiful tresses are the dream of every girl. But to get those long hairs, there is a lot of effort ladies put in. The one and the best way that your mother and your grandmother have been telling you for decades is that there is no substitute to Hair Oils and to get those gorgeous shiny hairs you have to oil your hair. Simply follow “hair oils – hair growth theory” and get that long and healthy hair you always dreamt of. Oiling your hair is an essential part of your hair care routine, no matter what hair type you have, what texture or what length and density of hair you have. Not just hair oils promote hair growth but also deals with almost all hair issues like hair loss, alopecia, breakage of hair, split ends, dryness and dandruff. Hair oils improve the overall quality and texture of hair. Every hair remedy can fail to work but oiling your hair can never fail as it is tried and tested for decades by our mothers and grannies. Listed below are some of the best hair growth oils which can prove out to be effective and can fasten up your hair growth. Simply apply these oils to your scalp and get the best results for your hair. 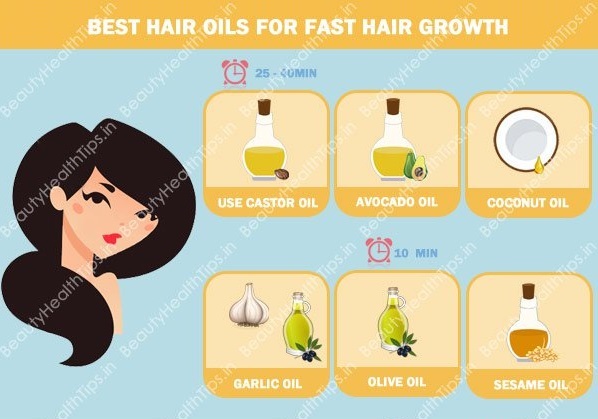 Before getting into details on which all oils are the best for hair growth lets first know what all qualities you should be looking for in a hair growth oil so that you can choose the best one as per your hair type. Any growth oil should have this quality so that it can nourish your hair follicles and create the right scalp environment so that it can promote faster hair growth and you can see maximized results. Not just a good hair oils maximizes the hair growth but also stimulates the growth of damaged follicles so that growth of new hair strands can be enhanced. The oils which boost hair regrowth will ultimately lead to improving the hair volume and thickness. A good hair growth oil nourishes your hair follicles as it can produce healthy and strong hair. Your hair constant nourishment to stay strong, healthy and lustrous and hair oils provide that nourishment to your hairs. Your hair oil should promote not only hair growth but also fight all the factors which are responsible for hair loss. Good hair oils should be capable of curbing all the hair problems from roots and should ensure that your scalp and hair follicles are in the healthy state to produce the best hair. A good hair growth oil should deeply condition your hair as your hair needs constant moisture so that it can keep damage and split ends at bay. Dry hair is more to damage and breakage as compared to conditioned hair. Dryness of hair can lead to a lot of issues like frizzy hair, awful hair texture, breakage, and hair loss. So make sure your hair oils conditions your hair thoroughly. Here is the list of best hair oils that you can buy to get long and healthy hair. 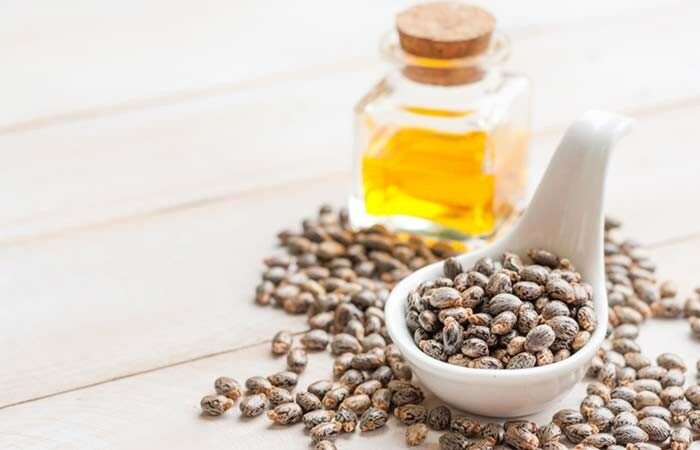 Castor oil is one of the most advantageous and is the best oil from hair growth. It is a rich source of proteins, minerals and vitamin E which are essential nutrients for hair growth. 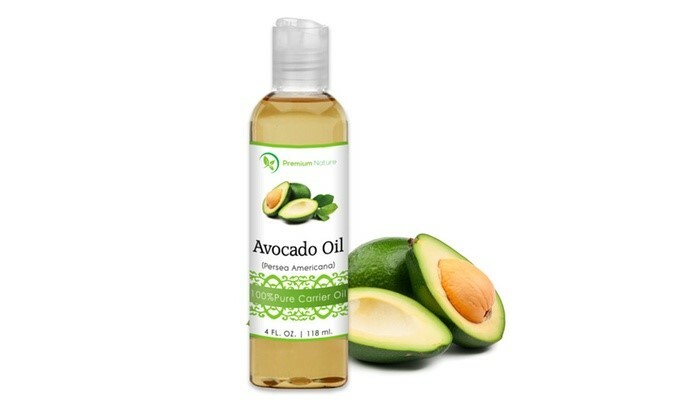 This oil works wonders on your hair as it also has fatty acids and omega nine fatty acids. It has anti-microbial properties as well which helps in fighting hair problems like dandruff and scalp issues. Castor oil also helps in proper blood circulation in the scalp and hence gives faster hair growth results. It also has ricinoleic acid which helps in treating scalp inflammations and diseases. As it is viscous oil, it moisturizes and softens your hair well and maintains proper hydration levels in hair. It also treats dry scalp. The only con of this oil is that it has a very thick consistency and hence it is hard to wash it off with hair. Simply apply it to scalp and massage with fingertips. Leave it overnight and in the morning wash it off with a mild shampoo. You may need to wash your hair twice or thrice to wash off the oil thoroughly. You can also use it by creating a good mix of three-four oils like coconut oil, olive oil, and almond oil and massage it on your scalp. Leave this for 20-50 minutes or overnight and shampoo your hair. Castor oil will surely give your desired results by making your hair grow faster, thick, lustrous, shiny and deeply nourished. Bhringraj oil is one of the most effective Ayurvedic oil and made from combining False Daisy with sesame oil. This oil is a combination of the variety of natural herbs and has no side effects as it has no additives. It has a lot of benefits for your hair like it prevents premature hair greying, it reduces hair fall, and the best one is it aids in faster hair growth. This oil is available in stores in prepared form. Many brands have their own version of Bhringraj oil products like Biotique Bio Bhringraj Hair Oil, Shriji’s Mahabhringraj Oil, etc. Biotique Bio Bhringraj Hair Oil: This hair growth oil profoundly nourishes your scalp and strengthens each strand of your hair. This oil also reduces hair graying and has a very light lingering fragrance which is soothing. This oil softens your hair to a great extent and makes it manageable. You can notice the difference in just one use. This oil is best suitable for oily hair and doesn’t suit all hair type. The only con about this oil is it doesn’t work on dry scalp. Shriji’s Mahabhringraj Oil: This hair growth oil is an Ayurvedic product which not just boosts hair growth but also nourishes, conditions hair, relieves headaches and cures dandruff. This product comes in yellow and green packaging which is not that appealing, but the product is worth to try for faster hair growth. This oil is most suitable for dry hair. 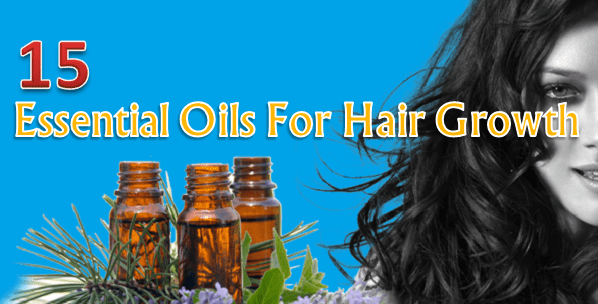 Regular use of these oils helps in getting long and healthy hair. Jojoba oil is the purest oil for healthy hair growth and hair loss. It is beneficial for hair as it has healing and moisturizing properties. Because of its moisturizing properties, it makes your hair look lustrous and frizz free. It is light in consistency and is nongreasy which makes it ideal choice to be used with essential oils. Make a perfect blend and massage this oil into the scalp. 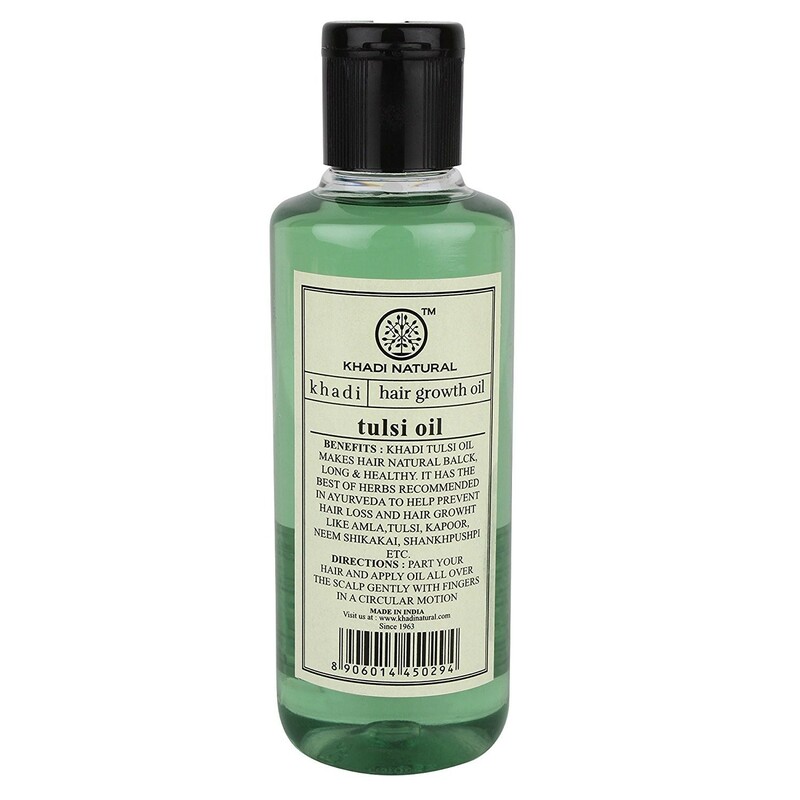 Massaging this oil stimulates blood circulation leading to hair growth. This oil also helps in growth of new hair cells and hence aids in hair growth. It also acts on hair fall and dandruff. Readout mu another article on The Truth Behind Essential Oils for hairs, acne, and various other health issues. The nutritional quotient of this hair oil is the best. It has all the essential fatty acids, amino acids, vitamin A, B, D, E and all the necessary nutrients which promote hair growth. The contents of mono-saturated fatty acids in this are much higher than any other oil. It also acts as a conditioner for your hair and adds that extra shine to your hair. All you need to do is take a small amount of oil and massage it thoroughly into the scalp. This increases blood circulation in the scalp and allows it to penetrate deeply into scalp to supply all the necessary nutrients to the head. 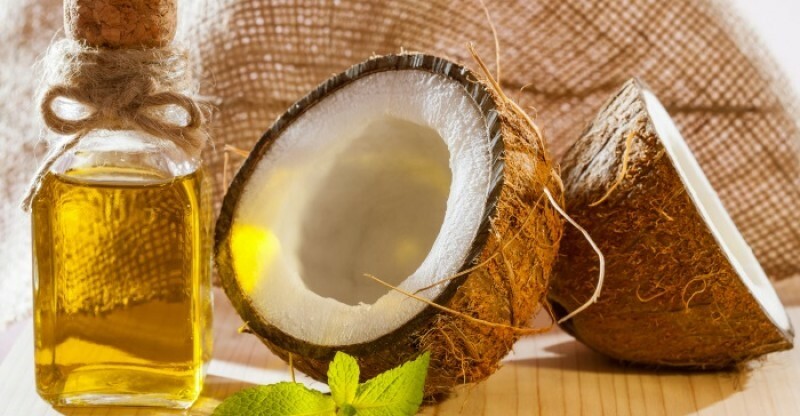 Coconut oil is one oil which our grannies and mommies are using since ancient times. They have been using this oil for grooming their hair. This oil is completely natural and has no added chemicals which can damage your hair. It also has reasonable amounts of vitamins, nutrients, and carbohydrates which are essential for hair growth and hair health. The results of using this hair oil are that you get soft, healthy and lustrous hair after using it on a regular basis. This hair growth oil also acts as a natural conditioner and is a rich source of vitamin E and antioxidants. All these factors make this oil capable of repairing hair damage. If you apply it in the lukewarm state, it deeply penetrates into your hair follicles to stimulate hair growth and moisturizes your hair to prevents split ends and hair breakage. When you combine this oil with herbs like Brahmi, Amla, curry leaves, Bhringraj and other Ayurvedic components, it gives you miraculous results and cures all the hair problems and makes your hair grow faster in a short span of time. It also protects your hair loss and baldness. You can apply this oil directly to your hair by massaging it, or you can also mix some oil to your shampoo so that it acts a good conditioner. If you have damaged hair, simply apply it to hair and sleep. Shampoo your hair and see the excellent results. We all are aware of the goodness of olive oil be it for skin, health or hair. 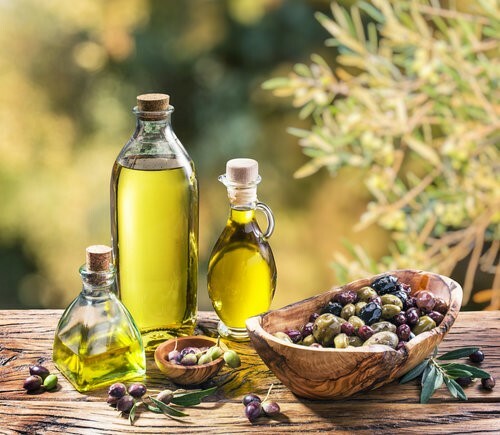 Olive oil is the Godmother of all hair oils as it has various qualities like as it promotes scalp health, works as the conditioner and enhances blood circulation. Olive oil is a rich source of vitamin E which is an essential nutrient for hair growth. It also has high moisturizing properties and high concentrations of anti-oxidants which are great for hair health. Olive oil contains oleic acid which penetrates into the scalp and locks the moisture in hair. It works as a natural conditioner and gives you considerably smooth and silky hair when used on a regular basis. As it also has inflammatory properties, it reduces dandruff and also aids in reducing hair fall and helps in hair growth. A lot of people don’t know the difference between olive oil and extra virgin olive oil. The later one is better as it has a broader penetration capability into the roots of the hair. If you wish to have supple hair, then go for extra virgin oil. Simply mix equal portions of olive oil and castor oil and heat it. Apply the warm oil on scalp and hair and gently massage it for half an hour. It will lock the moisture into the hair, and then you wash off the hair with a mild shampoo. You will love the results in few months when you will get those shiny and lustrous long tresses. Khadi itself is a known brand for beauty and hair products. 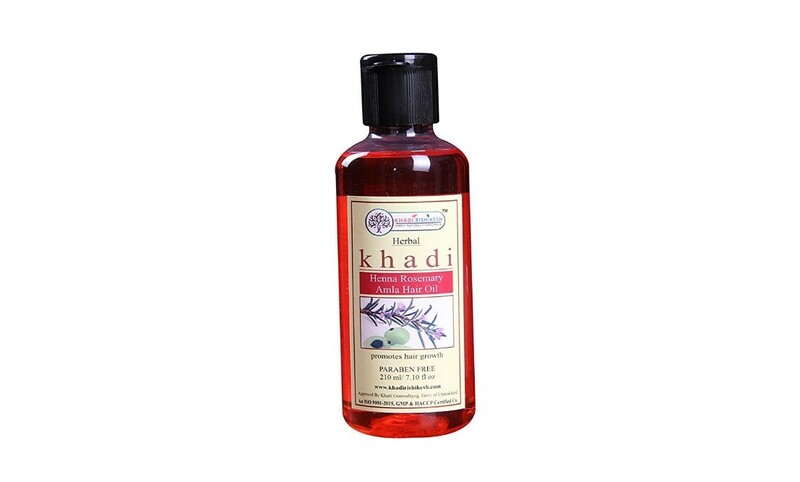 This hair growth oil from Khadi gives you miraculous results as it contains the goodness of rosemary and henna which are known for their properties in curbing hair fall and promoting hair growth. This oil works best at preventing premature hair loss, split ends, hair breakage, and baldness. The best part is that this oil is ideal to be used for both men and women and does not contain any parabens, mineral oils and additives which can harm your hair health. It comes in lightweight and non-sticky consistency and has a pleasant fragrance which is tempting. This oil is suitable for all hair types and gives a total nourishing experience to your hair. 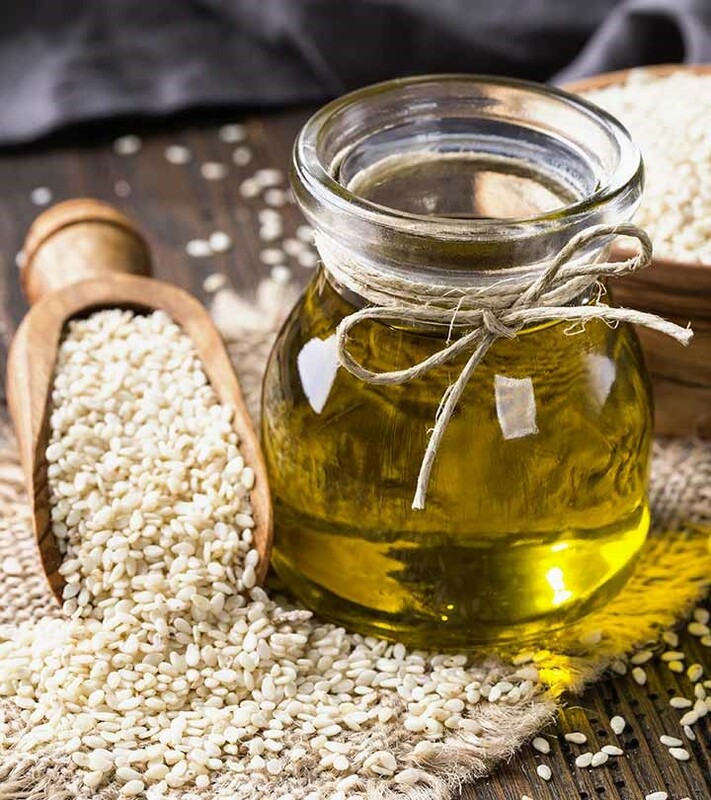 Sesame oil is considered to be one of the most ancient oils and used as a base oil for Ayurvedic preparations for hair growth, for example, Bhringraj oil to treat scalp infections and fungal attacks on the scalp. This oil is an extract from sesamum flower and has very high penetration ability.It seeps into the hair shaft and scalp and stimulates hair growth to a great extent. As sesame oil has anti-fungal and anti-microbial properties, it also works well for treating fungal infections. It works best when used hot as it conditions the scalp, nourishes it and its vitamin E contents boost hair growth. Take the small amount of hot sesame oil and massage it gently with fingertips to penetrate it into the scalp and also reduces tightness in the scalp. 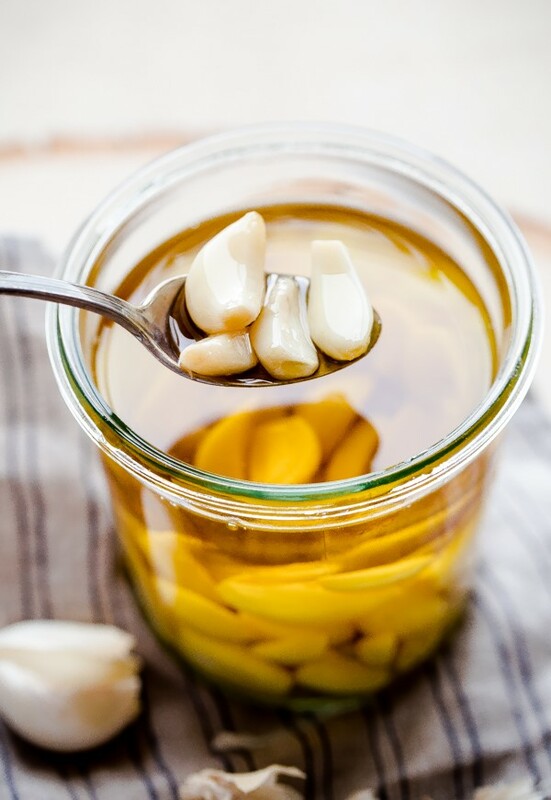 Garlic oil is something which may not be available in the market, but the best part is you can prepare it at home using garlic cloves. Use simple kitchen items and get the best hair growth oil for yourself at home. The only two ingredients you need is olive oil and 2-3 garlic cloves which are minced. Initially take some olive oil and minced garlic cloves in a pan and heat it. Don’t overheat the oil. Just make it lukewarm. For more efficient results, you can also leave this mixture overnight and use it next morning. Your garlic oil is ready and simply massage it into scalp and hair. Make sure the oil sips into the deepest roots and spreads throughout. You can also use this oil for eradicating ear infection. This is the most natural and authentic hair growth oil to get thick and long hair. 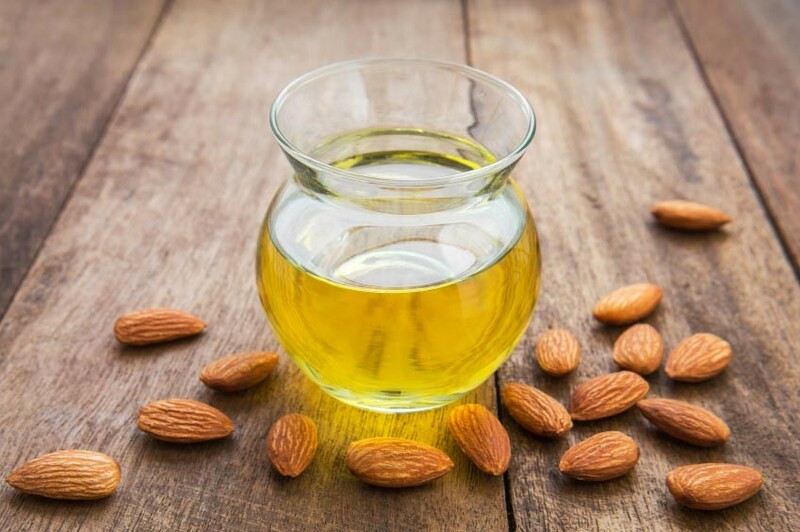 Almond oil has a lot of unusual properties be it for skin or hair. It is a rich source of magnesium and is used in a lot of hair care products. Almond oil comes in two types one is sweet, and one is bitter. The almond oil which is sweet that is sugared almond oil is more popular compared with the bitter one. Sugared almond oil massively increases hair growth, prevents excessive hair loss, deeply nourishes your hair and also helps in managing the hair giving them a flat look. If you find it hard to use pure almond oil you can also use Bajaj almond oil which also an excellent substitute for that. The product is considered to be the best product for hair growth in India as it is a light nonsticky formula and ladies love its fragrance too. It comes with the goodness of almonds and conditions your hair. Bajaj almond oil has 300% more vitamin E contents as compared to coconut oil. Massage it to the roots to get healthy and robust hair while keeping the hair damage aside. The contents of this oil are sweet almond oil, vegetable oil, and perfume. This oil is quite pocket-friendly an ideal choice to use on a regular basis for healthy hair. This oil is suitable for all hair types. 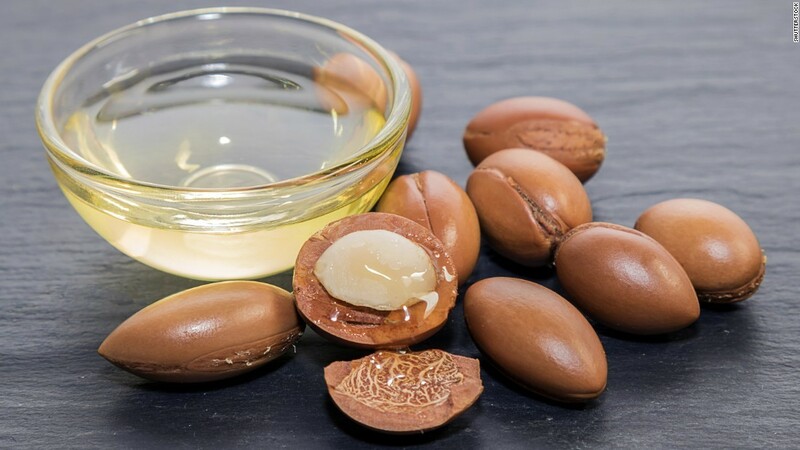 You might have never heard of this name as we always end up using almond oil, coconut oil but presently Argan oil is taking the beauty world at the storm with its goodness and qualities it has. It is considered to be the most suitable and excellent hair oil for hair growth as it makes hair stronger and longer at the same time. It is also popular with the name “liquid gold” because of its miraculous results. 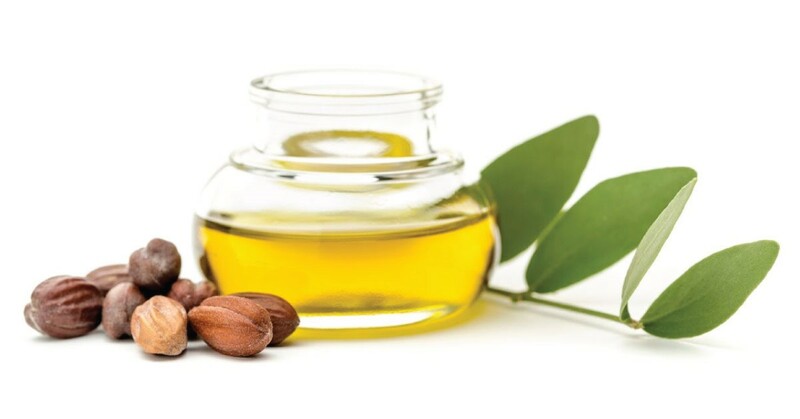 Argan oil is a rich source of anti-oxidants and repairs the hair damage caused due to hair styling. It has high levels of vitamin E and F which makes look lustrous by profoundly seeping into the hair shaft. This oil also treats split ends well as it has a hydrating power which creates a moisturizing coat over the hair. It stops hair breakage and gives you surprising results. This name might be new to you all but give this oil and try and you will surely love the results. Enjoy lustrous tresses with this beautiful liquid gold. Safflower oil has mainly two types: one is rich in linoleic acid, and the other one is rich in oleic acid. Both the forms are used for hair health and prevent hair loss. This oil enhances blood circulation in the scalp to improve hair growth and also moisturizes your hair. 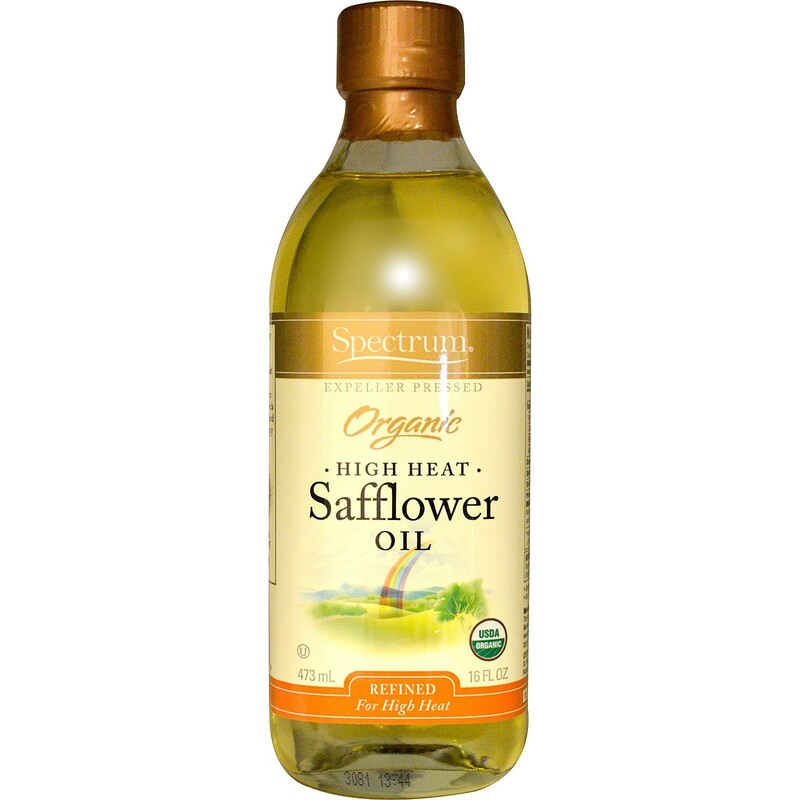 If you have dry hair, then Safflower oil is an ideal choice for you. Simply take five drops of safflower oil in your palms and apply it to scalp, roots, and hair ends. Massage it thoroughly and leave it for an hour. Rinse with lukewarm water and use it weekly or twice in a week to recover the moisture in the hair and enhance the growth rate of hair. Khadi Tulsi hair growth oil is an herbal and Ayurvedic oil which includes many natural ingredients that stimulate hair growth and eventually reduce hair fall. It has the goodness of Tulsi, Kapoor, Amla, ShankhPushpi, and neem. The goodness of neem and Tulsi helps in detoxifying the scalp, treat the scalp to make it free from dandruff and also eliminate any infections. This oil also has a good amount of vitamin E, A, D, magnesium, calcium, minerals, and vitamins. This oil is completely safe to use as it has no harmful effects on hair. This strengthens your hair from roots, promotes hair growth, prevents hair loss and also keeps them healthy in the long run. This oil is suitable for use in winters as well. The only con is that it is too heavy and sticky for use. It is ideal for dry and normal hair. Click here to know the Benefits of Using Basil for Your Hairs. 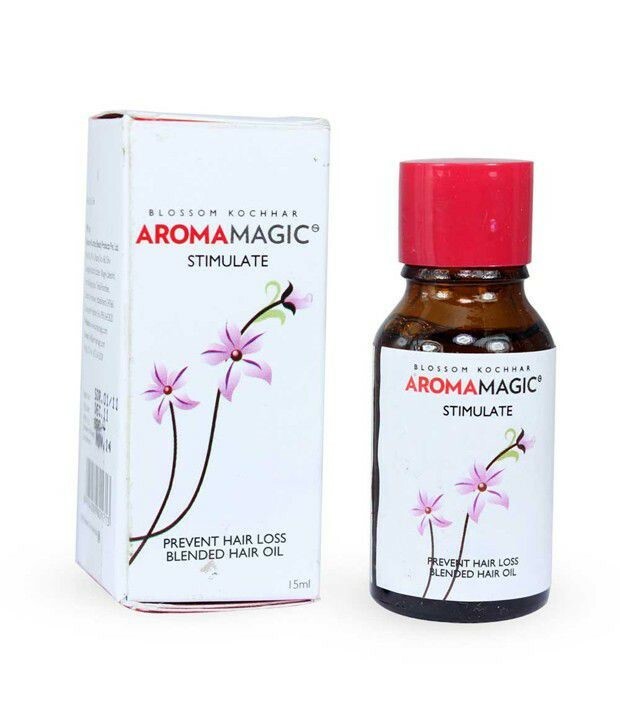 Aroma Magic Stimulate Oil is a perfect blend of essential oils and as the name suggests it stimulates hair growth and helps in the re-growth of hair. Essential oils like cedarwood, rosemary, and ylang-ylang provide the goodness of this oil to make it an ideal hair growth oil. The oil is colorless in appearance and comes in a brown colored glass bottle which is quite pleasing when it comes to its packaging. The oil is of light consistency and does not weigh your hair down. It has a strong fragrance, but its aroma is something you’ll find soothing and calming because it’s because of essential oils. 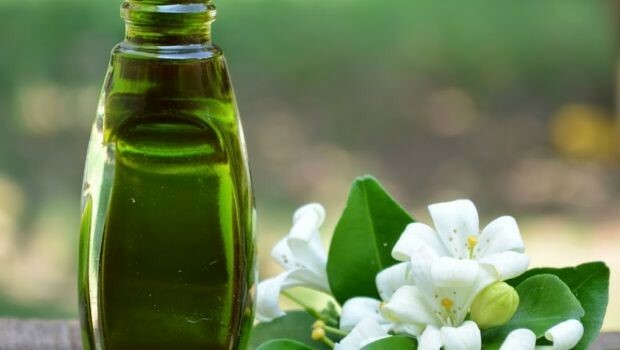 Because of the goodness of essential oils, it also reduces hair and scalp infections. This oil cannot be applied directly and needs to be diluted with water or some carrier oil before use. Its non-sticky nature and soothing aroma to the scalp makes it an excellent choice. This oil is suitable for almost all hair types. 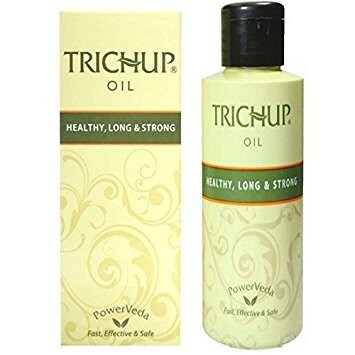 Trichup Oil is excellent fusion oil which has all the ingredients which we require for hair growth. It has the combination of Gunja, neem, Bhringraj, coconut oil, amlaki and til. All these are Ayurvedic ingredients and are extremely good for stimulating the hair follicles and work in inducing hair growth. The oil also works great in fighting other hair issues like hair fall, dandruff and hair greying. The oil is extremely greasy and sticky but lends a perfect shine to your hair. All these herbal ingredients deeply nourish your roots and shafts to prevent hair damage due to chemicals, pollutants and UV rays. The only disadvantage of this oil is that it doesn’t have a pleasing fragrance and is extremely greasy. It is best suited to dry hair type.